48 states and the District of Columbia provide reimbursement for live video consults in their Medicaid fee-for service programs. States alternate between the terms “telemedicine” and “telehealth,” and in some states, both terms are explicitly defined in statute or regulation. 15 state Medicaid programs reimburse for store-and-forward services. 21 Medicaid programs reimburse for remote patient monitoring. 36 states and the District of Columbia have laws governing coverage by private payers of telehealth services. In the 2017 legislative session, 44 states introduced over 200 telehealth-related pieces of legislation addressing issues such as reimbursement and the standard of care. 30 jurisdictions have telehealth informed consent requirements (depending on the state, may apply to Medicaid only, certain specialties, or to all telehealth transactions in the state). 22 states are now part of the Federation of State Medical Boards’ Interstate Medical Licensure Compact facilitating multi-state licensure for physicians in those states. 32 states reimburse a transmission fee, facility fee, or both. 9 state medical/osteopathic medical boards issue special licenses/certificates related to telehealth. State telehealth parity laws, which generally require private payers (and occasionally Medicaid programs) to cover telehealth services if those services would be covered if provided in-person, have long been trumpeted as a means to increase telehealth acceptance. The argument is simple: given how the availability of health care services is usually directly tied to whether (and how) payers cover a particular service, laws that require payers to cover telehealth services should drive utilization. A recently published report, however, questions the impact these laws have on telehealth utilization. 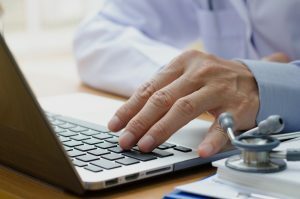 The Center for Connected Health Policy (CCHP), the federally funded national telehealth resource center, conducted a five-month study to analyze state telehealth parity laws and the impact these laws may have on telehealth utilization. In an interesting twist, the report’s authors also interviewed health plan executives to gain insight into how plans cover and reimburse telehealth services, and the issues preventing greater telehealth utilization. The report should be required reading for all telehealth stakeholders seeking to understand the telehealth reimbursement landscape. As of September 2016, 31 states and the District of Columbia have passed telehealth private payer laws. Inclusion/exclusion of certain language may create barriers to telehealth utilization by allowing payers to limit the types of services that may be reimbursed. Only 3 states have laws that explicitly require payment parity (meaning payers in these states have to reimburse for telehealth at the same rate as they pay for in-person services). Live video is the modality most often referenced in the parity statutory definition of telehealth. Approximately 70 percent of state parity laws reference store-and-forward, and about 55 percent include references to remote patient monitoring. Only 4 states and the District of Columbia include a site limitation in their parity laws. Unlike the Medicare program, parity laws usually do not include explicit exclusions regarding types of services, types of providers, and geographic locations. The majority of selected plans only reimbursed for live video. Some plans provide limited reimbursement for store-and-forward, but only for certain specialties. Remote patient monitoring is not being reimbursed by any of the payers that were part of the study. The majority of interviewees confirmed that their plans reimbursed telehealth services at the same rate as in-person services. 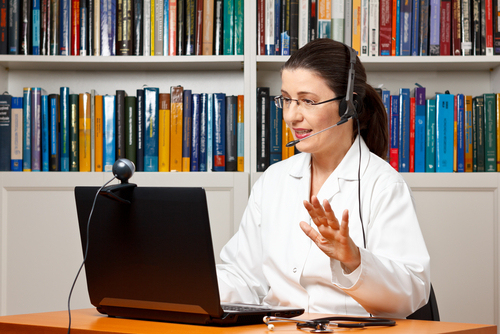 Patients are reluctant to use telehealth, although once they try it, many respond positively. Patients have a preference to see physicians and other providers in-person. Providers are reluctant to use telehealth for a number of reasons ranging from lack of training, skepticism regarding telehealth, or concerns that they could lose business by providing telehealth. Lack of education and awareness regarding the availability and efficacy of telehealth. CCHP also spoke with Medicaid representatives and concluded that private payer laws have little impact on Medicaid telehealth policies unless the laws explicitly include Medicaid. The Medicaid representatives also noted that providers face significant challenges in implementing telehealth programs, including the cost of equipment and billing issues. Using explicit language in private payer laws. Ensuring that payment or reimbursement parity language is included in the language of these laws assuming it is the intent of policymakers to have telehealth reimbursed at the same rate as in-person services. Developing a comprehensive Medicaid telehealth policy. 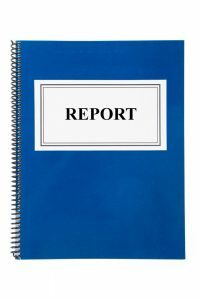 I believe the report is significant for two reasons. First, it dispels the notion that the existence of state parity laws alone will drive greater telehealth utilization. As the report makes clear, some of this is due to poorly drafted laws in some states—but I believe that much of the disconnect between parity laws and telehealth utilization is tied to broader issues regarding telehealth utilization generally. The lack of knowledge and education on the part of consumers regarding telehealth, for example, is as big a stumbling block as any other. Second, it appears that while plans have bought into the benefits of telehealth they are cautious regarding how to drive utilization. The report points out that most plans prefer a slower approach to telehealth expansion and favor using methods such as pilot projects to assess potential expansion. The National Quality Forum (“NQF”) has published a draft report (“Report”) recommending various methods to measure the use of telehealth. By way of quick background, NQF is a non-profit, nonpartisan organization that seeks national collaboration to improve health and healthcare quality through measurement. The Department of Health and Human Services (“HHS”) requested NQF to convene a multi-stakeholder committee to recommend various methods to measure the use of telehealth as a means of providing care. Among other things, the Report analyzes the best way to ensure clinical measures are appropriately applied to telehealth, proposes a measure framework, sets some guidelines for future telehealth measurement, and identifies measurement gaps. How to properly evaluate and weigh cost savings in health care has long been a controversial subject—perhaps nowhere more so than when technology-enabled health care is evaluated. A recent study is a case in point. The journal Health Affairs recently published a study that has caused quite a stir in the telehealth community. Without getting into details regarding methodology and results—best left for a more in-depth article—the study acknowledges that reimbursement for direct-to-consumer (“DTC”) telehealth visits are lower than would be the case for in-person physician or ED visits. However, the study raised two concerns. 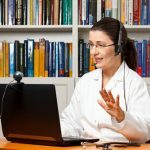 First, the researchers posited that there could be increased spending for DTC visits “if the direct-to-consumer telehealth visit is more likely to result in follow-up appointments, testing, or prescriptions, compared to similar visits to other settings.” Second, the researchers believe that DTC physicians “may be more likely to recommend that patients have a subsequent in-person visit with a provider.” The basis for these concerns is not made entirely clear, and quite frankly doesn’t square with my discussions with DTC telehealth stakeholders. Will Congress Come Together for Telemedicine?